Sharing ideas about money. But will it make any? We try and understand London’s new all-talk financial radio station. WHO Unidentified man and Louise Cooper. ID: Morning Money: the Markets, the Papers, and the City. Today’s ‘need to know’ on Share Radio. From this listen, here’s a great little radio station – in desperate need of a programmer. They’ve done the difficult job – finding good contributors who know their stuff. Trouble is, they’ve been let loose in the wild open empty spaces of speech radio without a sat nav. When they’re mid-discussion, it’s very good. But around the important edges – the lubrication, the hour open, the plodding station sound, the BBC Local Radio circa 1982 show names – it’s a all a bit lacklustre. Especially when your speech competitors are Radio 4 and LBC. Share has a clear point of difference. And it’s using it well – look at the stories in the news at 7. That’s a mix of stories you wouldn’t hear anywhere else. Even if their inflection was a bit “The Day Today”. Louise didn’t get a surname until nearly at the end of the 20 minute listen. And I still don’t know who the main presenter was. If you have a strap like ‘need to know’, make sure it’s stuff I need to know. I don’t even know what “Japan’s current account surplus” means, let alone why I ‘need to know’ it. And here’s another problem – who is this station for? Even in the discussion of the top merger story (which had pace and excitement and carried me along – no mean feat) they used some financial terms that a layman wouldn’t have a clue about. I guess the Share Radio issue is that to explain too much annoys your pink newspaper readers. To explain too little leaves the casual listener cold. More worryingly, on a commercial radio station about money, there was no commercial content in my whole listen (and for another ten minutes after). No sponsor tags, no ad breaks, no S&P. So what it has is good financial journalists. What it needs is a big dose of radio thinking, and a clearer, better-communicated idea of what it is and who it’s for. 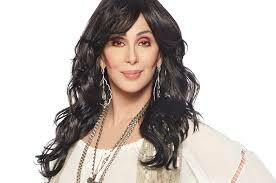 Not that kind of Cher. This entry was posted on Wednesday, April 8th, 2015 at 7:18 am	and is filed under Uncategorized. You can follow any responses to this entry through the RSS 2.0 feed. Responses are currently closed, but you can trackback from your own site.